I’ve always loved this building. 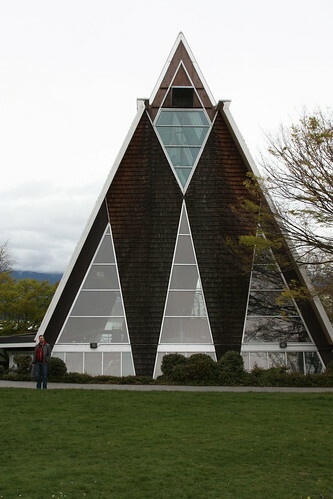 It’s part of the Vancouver Maritime Museum and was built in 1966 to house the icebreaker St. Roch. You can just see the top of the mast through the upper window. Unfortunately the ship now requires better climate control for its conservation, and the whole museum may be moved to a new museum in North Vancouver.